An easy to use tool tracking system. Other tool tracking systems operate like an inventory system, with a “check-in and check-out” approach to managing tools. ShareMyToolbox tool tracking software is different. It is an authentic mobile solution which enables small tools and equipment to be checked-in/out but also transferred from person to person in the field. 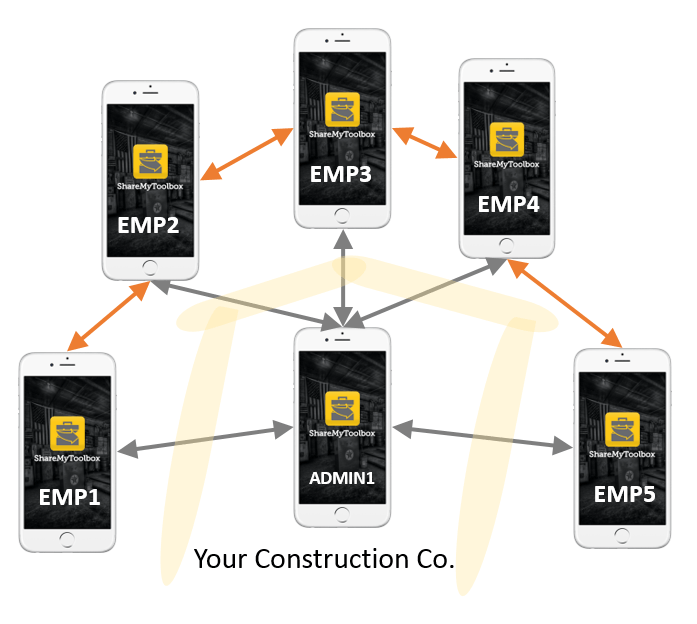 This decentralized approach makes it easier to track small tools and reduces the time warehouse personnel spend tracking tools that are moving in the field. For additional detailed information on our tool tracking system, please visit our How-It-Works page to learn more. You can also find information on our tool inventory app and small tool tracking as well as tool tracking using these links. More sales videos and demonstrations are available. Follow this link to learn more about our app.